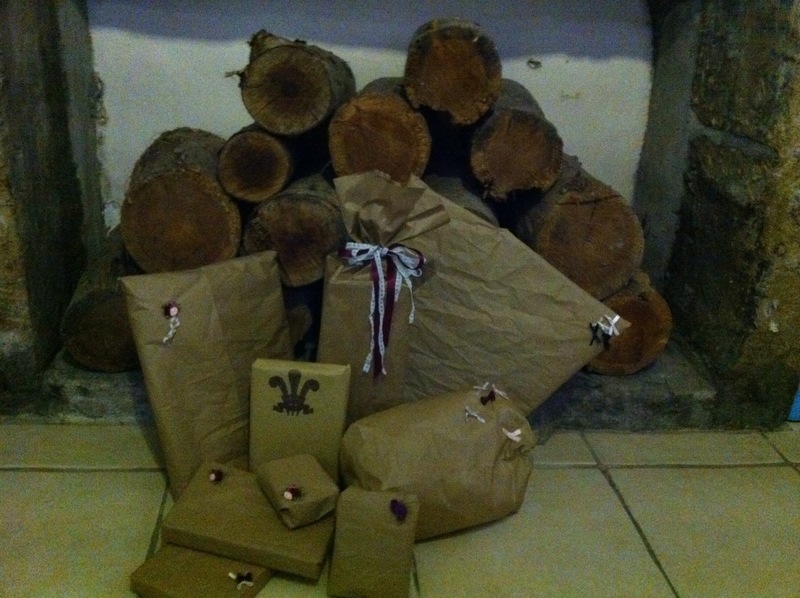 I’ve spent the last few hours wrapping presents – it’s the Renaissance Man’s birthday soon. 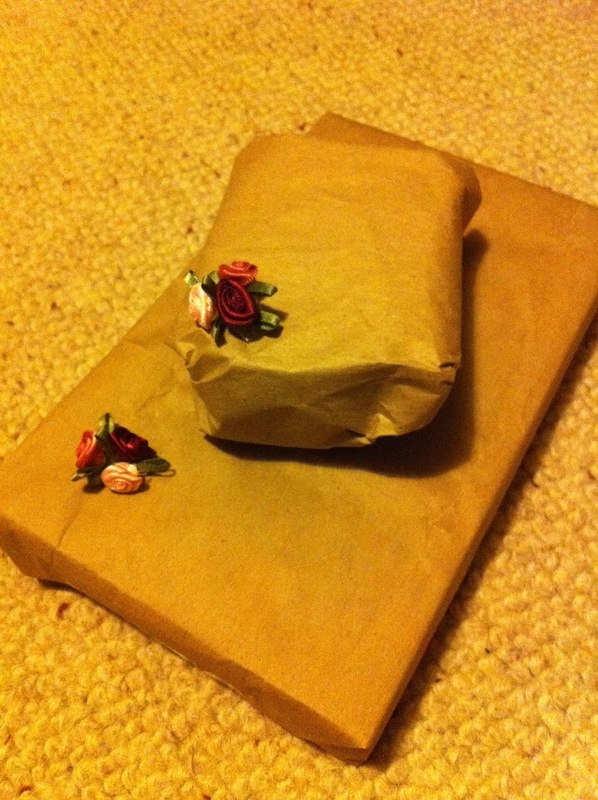 I’ve been scouring the shops for the right kind of wrapping paper but to no avail – it all seems to be sparkly and a bit tawdry in the run up to valentines day – so I’ve had to improvise! 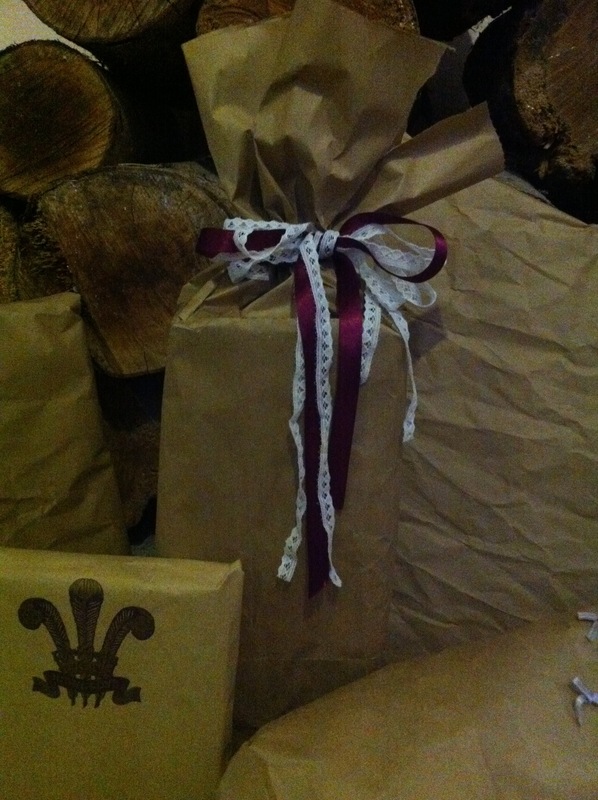 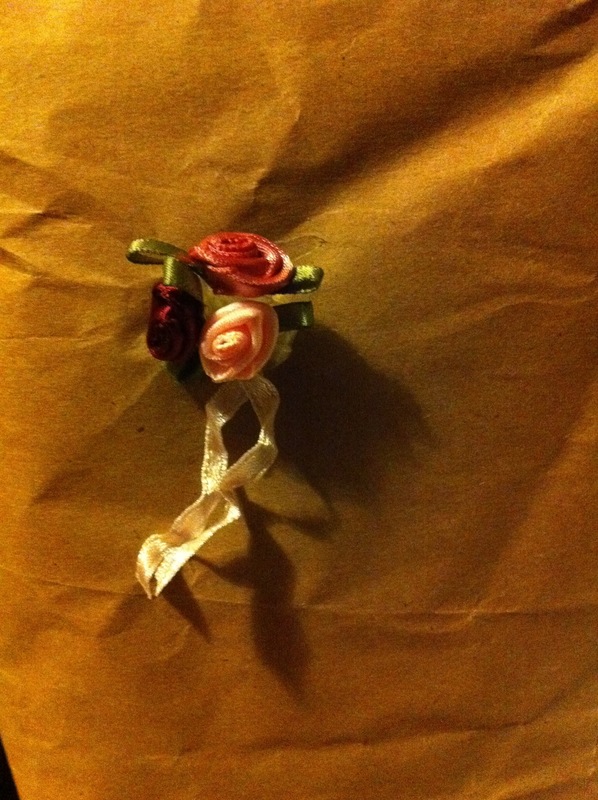 I’ve gone for brown paper and silk ribbon, vintage lace and some old ribbon roses I cut off a dress a long time ago. 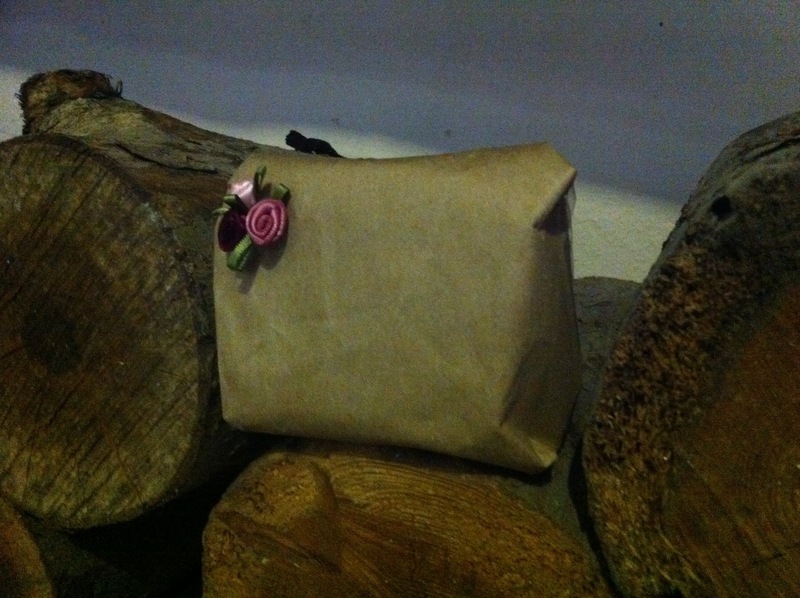 Added bonus – since the brown paper was packaging that amazon sent me, I now have a smug feeling of environmental friendliness!